In 1997 and 1998 I was working closely with British fella who lived in Austin named Myles Faulkner. Myles is a genius and hard worker and very focused, especially in promotion and marketing. For a few years he had been sharing with me his idea to start a Dance label in Texas that would put out cd's similarly to the way that UK labels like SOUR, Trinity, Jungle and Botchit did. 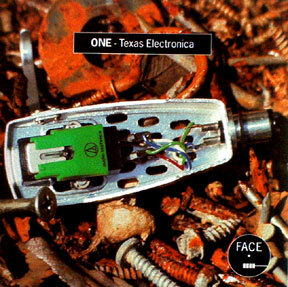 There was and is a lot of good dance/electronica artists and programmers in Texas who were receiving little national, much less international notice. I thought this a very good idea and eventually we formed a partnership called FACE RECORDS with Myles, myself and Michael Herst who was a promotion guy for New West/Doolittle. We made one compilation that received some licensing interest and had what we conisdered to be the cream of the crop of Texas Electronica artists. This cd received great reviews but in the end the dance world seemed not to care about produccers from Texas and we had to drop the project. Also we spent a lot of time and money trying to make this happen, and were all involved and very busy with many other things, all of 3 or the partners girlfriends left all of us more or less at the same time, so we put the project away. Too bad, it is still a good idea.